Maybe you already have a home improvement project or three scheduled for this time of year. 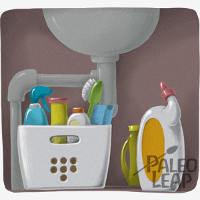 But while you’re at it, take a look at these 10 ways to make your home a little more Paleo-friendly. Believe it or not, modern inventions like indoor heat, electric light, and running water do come with some downsides, so it’s in your best interest to make a few quick changes that might make a big difference to your health. No matter how much you’re used to it, streetlights and other electric illumination glowing through the window at night can make for a night of disrupted sleep. A simple solution to this problem is a set of blackout curtains: heavy, dark drapes that prevent even the smallest beam of light from sneaking into your bedroom. Even if you think you sleep really well, try the curtains and you might be surprised. Heaters and air conditioners can both make inside air very dry, which is hard on your skin, your lungs, and the mucus membranes in your nose and mouth that form the first barrier between your body the pathogens all around you. Investing in a humidifier makes indoor air less harsh on your body, and puts less strain on your immune system. If you really want clean, fresh-tasting water that’s free of environmental toxins and other unwanted additions, don’t go for bottled water: it’s the same thing as the water you get from the tap, except that the standards for bottlers are actually even looser than the standards for your municipal water supply. Instead, invest in a high-quality water filter to purify your tap water – you can even get ones that attach to the end of your faucet, so you’ll never have to remember to refill them. You’ve probably heard all about how unhealthy it is to sit all day at work, sit in your car on the way back, and then come home and sit some more during your leisure time. That’s certainly not how our bodies evolved to spend the day: they’re used to moving around constantly, not vegetating in one place. Unfortunately, if all the things you like doing at home require sitting, sitting is what you’re going to do. The solution is to put together a quick standing desk or TV stand, so you can get off the couch without having to dedicate time to a “workout” or give up activities you enjoy. You can create a standing desk for your computer as easily as stacking a few books or a low shelf on top of your table; it doesn’t take any fancy equipment or special tools. 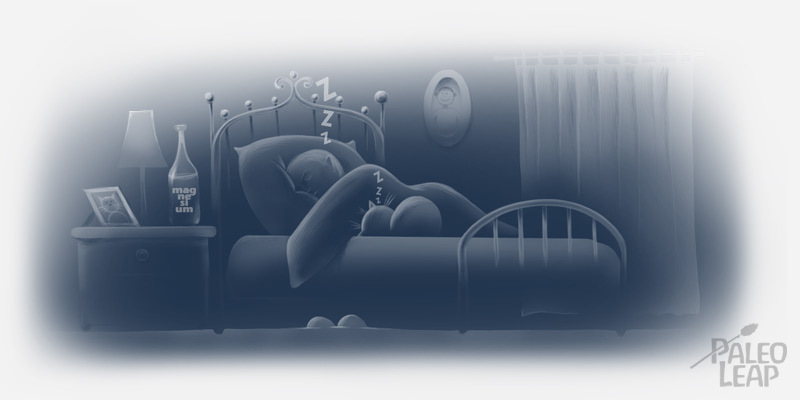 Back in the day, getting the “right” lighting for our circadian rhythms was easy: sunrise brought the blue light spectrum that tells our bodies it’s time to wake up, and the warmer, orange-red light of the evening was a natural signal that it’s time to go to bed. Today, when most people’s light exposure comes primarily from electric light, that natural cycle isn’t so automatic: even in the evening, many of us are exposed to blue light from fluorescent bulbs, computer screens, smartphones, and other electronics. Blue light exposure late at night can leave you lying in bed wide awake, or groggy and unrefreshed the next morning, even if you slept through the night. To avoid this, choose your lightbulbs carefully. For rooms where you spend a lot of time in the morning, you’ll want bright, blue-white lights. But for bedrooms and other places where sleep is a priority, go for warmer illumination instead, to help you wind down for the night. And try not to rely on night lights: having a bulb glowing away inside the room defeats the entire purpose of the blackout curtains you just installed! If you’re still suffering from allergy-like symptoms on Paleo and stumped for the cause, it might have nothing to do with your diet at all. Mold allergies are not common, but for people who do have them, they can be very serious. You can read more about this – including how to test for the presence of mold and what to do if you find it – here. When it comes to sticking with an exercise routine, convenience wins every time. The less effort it takes to get out to the gym, the more likely you are to keep going. And what could be more convenient than a gym right in your own home? A pull-up bar in your bedroom doorway brings the gym to you, making it easy to quickly crank out a rep or two on your way to something else. This won’t get you shredded and ready to pose on a bodybuilding magazine cover just by itself, but every little bit adds up, and a minute of physical activity is a much healthier “energy boost” than caffeinated drinks, so it can help a lot if you’re craving a fifth cup of coffee that you know you really shouldn’t give in and drink. They don’t remove the source of the smell; they only mask it. Many contain artificial fragrances that may trigger chemical sensitivities and lung irritation. Instead, go straight to the garden section: a modest collection of low-maintenance houseplants will do more for your indoor air than a slow-release capsule of artificial fragrance. Believe it or not, NASA has actually done a study on this, and concluded common houseplants (like English ivy, chrysanthemums, or peace lilies) can not only help improve the smell of indoor air, but even help remove environmental toxins and chemicals that may be floating around. Here’s a quick and easy way to save you money on your electric bill and at the grocery store: keep your fridge in good working order. A fridge that’s not cold enough will cause your food to spoil faster, and a fridge that’s too cold causes unappetizing freezer burn all over your vegetables. Aim for somewhere between 37 and 40 degrees – a temperature you have to judge with a separate thermometer, since the built-in thermometer only tells you what temperature the fridge is set to, not what temperature it actually is. To make sure you aren’t wasting any unnecessary electricity keeping up that perfect temperature, also check out this list of 5 simple home maintenance tips to reduce the amount of power that your fridge has to use. If you like roasting whole chickens or any other type of meat in your oven, you’re probably familiar with the problem of the drippings: if you don’t put a pan down with an inch of water in the bottom, the fat falling off the meat will hit the bottom of the oven and smoke you right out of the house! This is obviously unpleasant, but did you know it’s also a health risk? When these juices drip onto the hot surface, the proteins and sugars in them react to form potentially carcinogenic compounds called polycyclic aromatic hydrocarbons – compounds that get trapped in the tiny space inside the oven and then waft back up to coat your delicious chicken. This is a risk any time you have any kind of accumulated gunk in your oven that smokes when you start it up. So scrub out that oven (plain baking soda works great) and give your body a much-appreciated anti-cancer present. Got another spring cleaning tip? Or a favorite all-natural cleaning product that you can’t wait to share? Let us know on Facebook or Google+!